Russian President Vladimir Putin (R) and Greek Prime Minister Alexis Tsipras attend a signing ceremony at the Kremlin in Moscow, April 8, 2015. Greek Prime Minister Alexis Tsipras did not ask for financial aid at talks in Moscow on Wednesday but Russia could provide credits for large joint projects in the future, President Vladimir Putin said. Putin indicated that one such project might be the planned Turkish Stream pipeline to carry natural gas to Europe via Turkey but added that any decision on Greek participation would depend on Athens wishing to be involved. "The Greek side has not addressed us with any requests for aid," Putin said. "We discussed cooperation in various sectors of the economy, including the possibility of developing major energy projects." 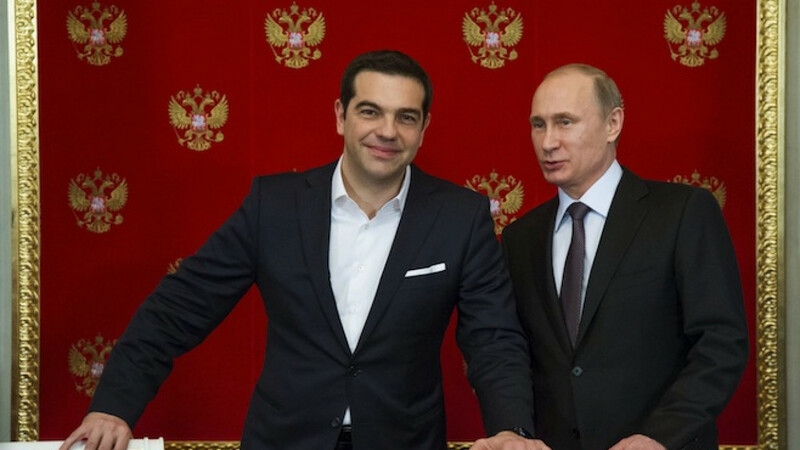 Putin said Russia would be interested in taking part in privatization tenders if Greece runs any. 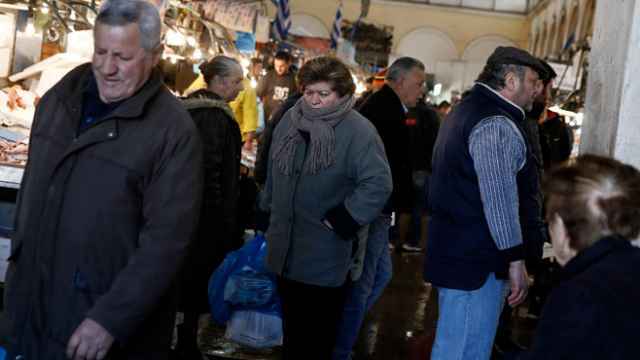 But he said Athens could not be exempted from a ban on some food imports from the European Union imposed by Moscow in response to the bloc's economic sanctions against Russia over the Ukraine crisis. The Russian leader also ought to end speculation that Moscow was trying to undermine EU unity on sanctions by boosting economic cooperation with indebted Greece. "I want to assure you that we do not aim to use any internal European Union situations to improve ties with the European bloc as a whole. We want to work with the whole of united Europe," Putin said.